During the years Te Marua Golf Club has been in existence the following have been elected as Life members in recognition of their contribution towards the progress of the club. 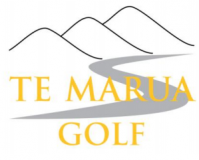 During the years Te Marua Golf Club has been in existence the following have served as Principal Officers of the club. It is through their dedication and with the support of the various committees and members who help out as required that this club has prospered.